The “little branch office” is growing up. 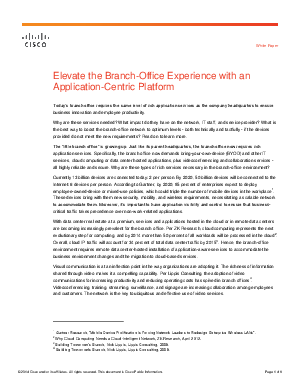 Just like its parent headquarters, the branch office now requires rich application services. Specifically, the branch office now demands bring-your-own-device (BYOD) and other IT services, cloud computing or data center hosted applications, plus videoconferencing and collaboration services - all highly reliable and secure. Why are these types of rich services necessary in the branch-office environment?